Want to know the make and model of your motherboard? CPU-Z reveals that and a whole lot more. I've read here and there that there's a known issue with Windows 7, Gigabyte motherboards, certain Intel chipsets, and iTunes. Maybe that's the cuplrit? Just one problem: I have no idea what kind of motherboard or chipset are inside my PC. 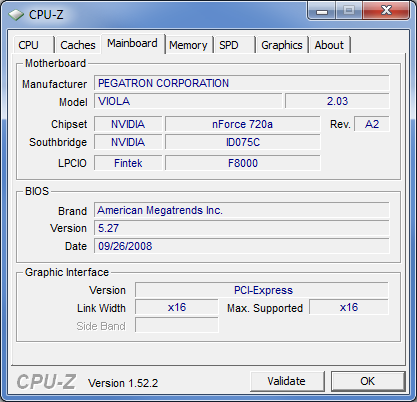 Enter CPU-Z, a free utility that reveals all kinds of information about your hardware: processor model, RAM size and speed, BIOS brand and version, and so on--just the kind of information you might need when trying to troubleshoot a sticky problem like this one. Of course, CPU-Z can come in handy for more mundane tasks as well, like figuring out what kind of memory to buy when upgrading your system. A quick check of the Memory tab, for instance, reveals that I have 400MHz, dual-channel, DDR2 RAM. And the SPD tab shows me what's in each memory slot. On my system, slots 1 and 2 each have a "1024 MByte" (a.k.a. 1GB) Samsung PC2-6400 module. Perfect: Now I know to buy two more just like that to bring my system total to 4GB. If you ever need detailed information about your PC's inner hardware, CPU-Z can't be beat. And it's a freebie to boot.